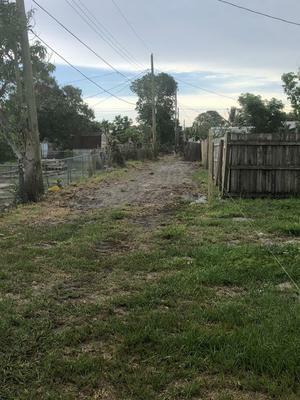 Visitor Writes: The City of Delray Beach Public Works Department (Streets & Storm Water Divisions) completed our alleyway clean-up in preparations for the improved alleyway project. The City has been working together in creating an alleyway clean-up plan to continue the beautification our city deserves. 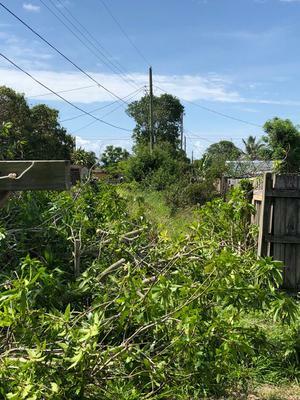 Recently, 8 heavily overgrown alleyways were completely cleared by removing tires, old concrete, abandoned cars, overgrown trees, miscellaneous obstacles, and it was brought back to its original state. That is our goal for all overgrown alley ways. We will be making our way through every alleyway in the City to provide the best service possible. 1. Alleyway between Southwest 8th Avenue and Southwest 7th Avenue on Southwest 3rd Street to Southwest 4th Street. 2. Alleyway between Southwest 7th Avenue and Southwest 6th Avenue on Southwest 3rd Street to Southwest 4th Street. 3. Alleyway between Southwest 7th Avenue and Southwest 6th Avenue on Southwest 2nd Street to Southwest 3rd Street. 4. Alleyway between Southwest 6th Avenue and Southwest 5th Avenue on Southwest 2nd Street to Southwest 3rd Street. 5. Alleyway between Southwest 5th Avenue and Southwest 6th Avenue on 3rd Street to Southwest 4th Street. 6. Alleyway between Southwest 8th Avenue and Southwest 7th Avenue on 6th Street two adjacent property line. 7. Alleyway between Southwest 7th Avenue and Southwest 6th Avenue on Southwest 6th Street to Southwest 7th Street. 8. Alleyway between Southwest 6th Avenue and Southwest 5th Avenue on Southwest 6th Street to Southwest 7th Street. Editors Respond: Thanks so much, Nora, for letting us know about this. Other readers are sure to benefit from learning that sometimes city government itself undertakes a comprehensive alley clean-up project. Elsewhere we have written as though we think this is a volunteer project only, but if the city will do it, so much the better. Look at how much you accomplished in a few weeks! From the photos it seems like you have grass alleyways, which may be a different situation from many of readers who have asphalt or concrete alleys. Nonetheless, the clean-up task is the same. Even where there are paved alleys, it is not unusual for trees or shrubs to spring up and then become overgrown as no one takes ownership. It seems very regrettable that tires, abandoned cars, and the like seem to appear like magic in alleys, but it happens almost everywhere. Cities are in a great position to handle those items that are more difficult or expensive to dispose of. Kudos to Delray Beach for this alley clean-up example.